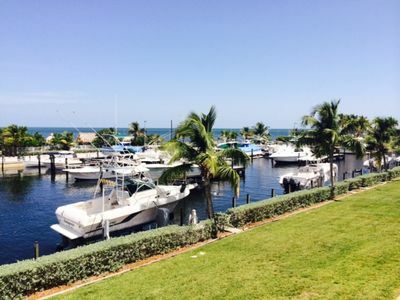 100% Remodeled Bayfront Townhome With Sunset Views And 36' Boat Slip! 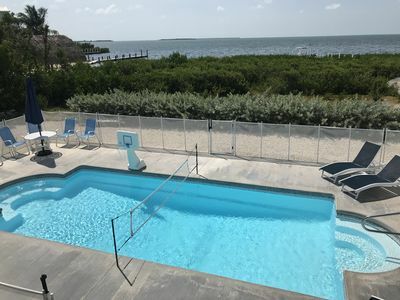 As one of Buttonwood Bay’s most highly sought after condo units, this bay-front 2 bedroom, 2 ½ bathroom home will awe you as soon as you open the door. 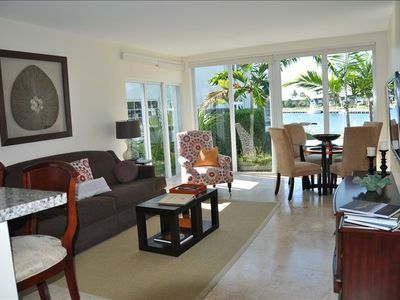 This completely remodeled unit will show you why Buttonwood Bay is Key Largo’s premier destination. 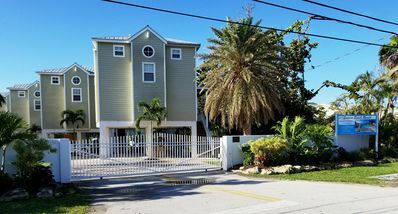 Your end-unit townhouse has open bay views behind it, sunset views to through the side windows and a 36' boat slip out the front door. 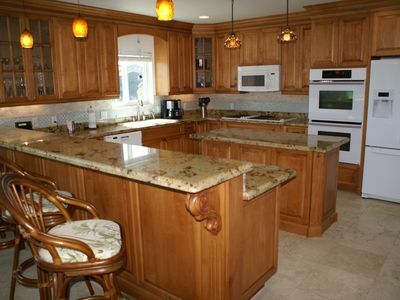 This two-story unit on “The Island” offers a renovated and updated kitchen with counter seating to keep the chef company while they cook up your fresh catch (or one purchased at the local seafood market). 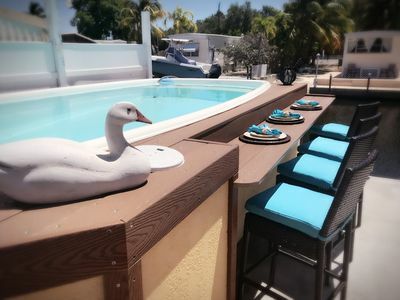 There is also a built-in bar to help you make the perfect sunset cocktail after a long day of fishing (or lounging by the pool). 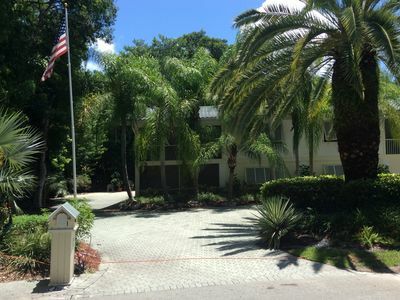 The main floor has an open concept living area with the kitchen overlooking the dining room (seats 8) and living room with a flat screen TV. There is also a ½ bath on the 1st floor. 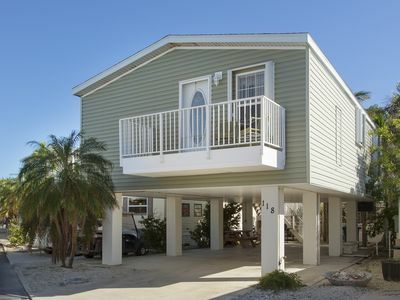 On the 2nd floor you will find 2 additional bathrooms and bedrooms. 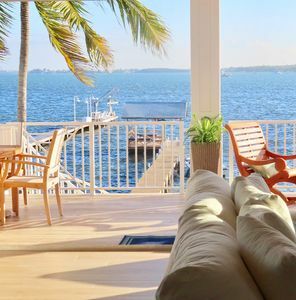 The master bedroom, with its own private bathroom, offers a king size bed where you can kick up your feet and watch the boats go by on the bay. 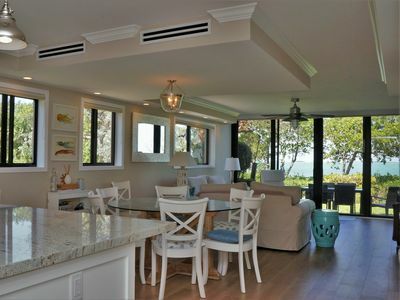 Not that you’ll ever get bored of the view, but just in case, there is also a flat screen TV and desk in the master. A second bedroom with a queen size bed and 1 set of bunk beds allow another family or friends to visit comfortably. From this bedroom there is a door to the 2nd full bathroom. 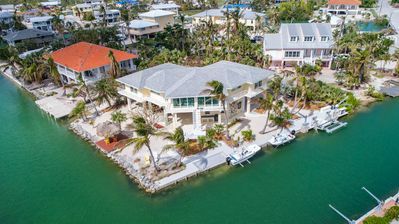 Buttonwood Bay is minutes from John Pennekamp Coral Reef State Park, deep sea and flats fishing charters, or swimming with dolphins. 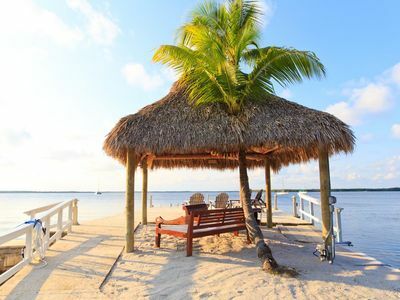 The beautiful Florida Keys offer exceptional outdoor activities such as sport fishing, scuba diving, reef snorkeling, back water kayaking, bike riding, and boating. 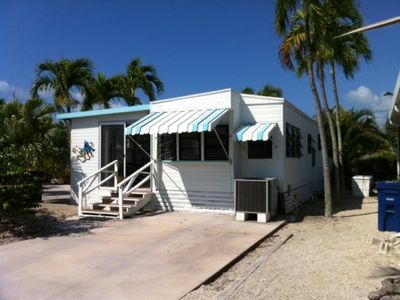 Nearby there are great local restaurants featuring freshly caught seafood, lively music and island-style entertainment! 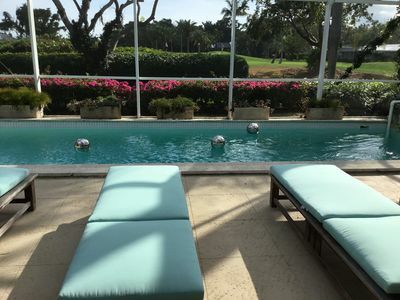 We hope you grow to love this tropical paradise as much as we do! 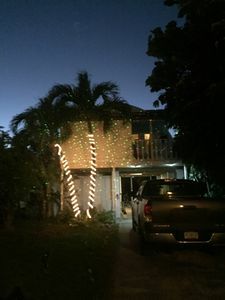 "WEEKLY" Beautiful Ocean Front Cudjoe Key Vacation Rental with Pool"
Amazing Views Of Tarpon Basin From Front Porch! 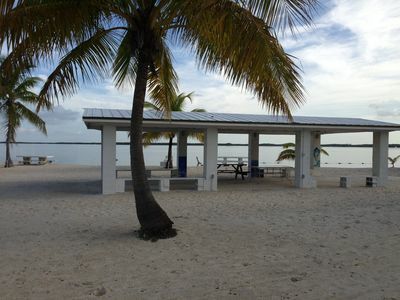 Paradise in the Lower Keys! 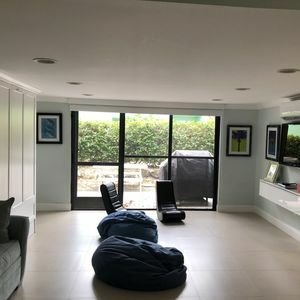 Elevated Home on a Quiet Canal:Monthly Rental Available! 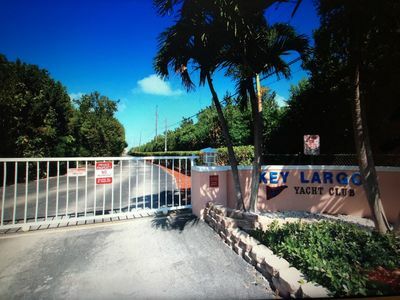 Key Largo Oceanfront Gated Community 3/3 With Dockage! 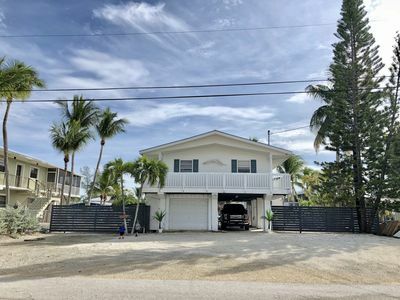 New Key Largo listing! 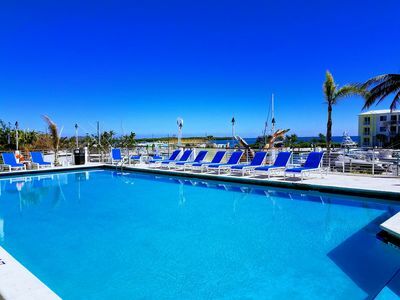 Book your discounted stay today! 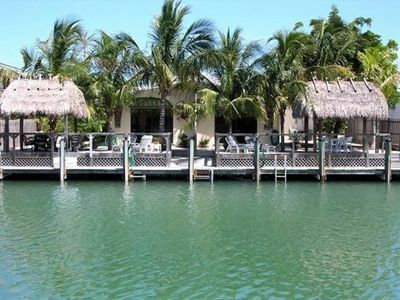 Newly constructed home with one-of-a-kind water views and private pier.